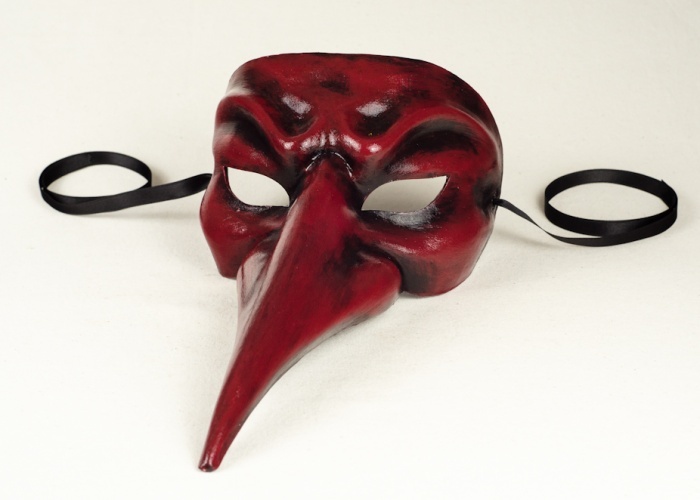 Because of the red and black finish of this long nose Venetian mask, it looks like it is made of painted leather. But in reality, the mask is made from real cartapesta, making it far less expensive. This long nose Venetian mask is one of our most requested and highly valued Venetian carnival masks.